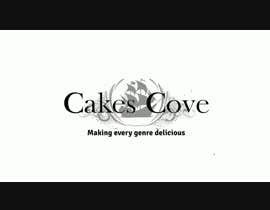 Cakes Cove is having a contest for one of you to get the chance to make the opening for our new YouTube series, Making every genre delicious! We want to see what you can do! 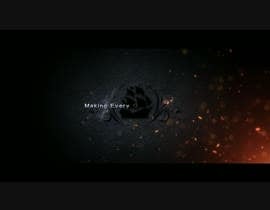 The opening can be animated, live action, stop-motion – whatever you want to create. To enter send in your completed version, by Wednesday November 22nd. The winner will receive $175 plus a credit on each video the opening is used. ~No trademarked soundtrack to it. ~Celebrate Cakes Cove, and being a geek. No trolling, bashing, or hate speech, please. Let’s keep things fun! ~Please nothing that feels to "corporate" this is a fun opening to our Youtube series not an add for a corporate convention. A bit about the series- It will be called “Making every genre delicious”. Our award-winning geeky designer will be showing how to create differently themed desserts using cakes, cupcakes, chocolates, and cookies as well as DIY projects to geek up a party. There will also be cosplayed episodes and episodes with guests, but most of all it will be a delicious celebration of all things geeky. Tips! Looking for something fun! It can incorporate things like desserts, geeky symbols, etc. Our logo is a ship with kraken tentacles holding a whisk and a pair of dice, (not mandatory to use, just a fun tidbit, maybe create and animate a logo with a whisk and dice? Or have tentacpes spladhing the letters for the title? Or a wand making the title appear? 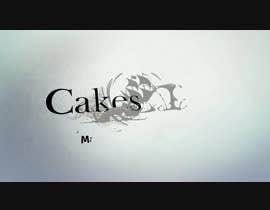 Would love 8bit or video game sounding music/sounds (again not mandatory) the Cakes Cove colours are a light grey with white, and black accents have fun with it, these are just ideas to get your creative juices flowing! 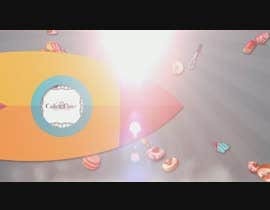 If you have ANY questions (I would be happy to answer most questions - anything that will help your vision), want to know more about the project, or need the Cakes Cove logo please message! We look forward to seeing your submissions! Good luck and may the fork be with you! Thank you, everyone, for your entries! Uploaded! Entry #51 Thank you! Just a few hours left! If I can help at all please ask! Just a few hours left! If I can help at all please ask. Good luck! Hi everyone! We have 24 hours left until the contest closes! Once the contest is closed our favourite entries will be voted on by our customers. We will award the winner by Sunday November 26th. Depending on what entries there are we may also reward runner-ups. For those just joining us, there isn't a lot of time left, but we do have two days after the contest to work closely with you to finalize and fine tune, so it's definitely worth submitting an entry (or two) before the cut off time. I just received the invitation. Deadline is tight. This contest has been going for a week, I apologize for the late invitation, it's a new feature I was unaware of until today. We do have a few days after the contest is over to work with the winner to finalize and fine tune the winning entry if necessary. You have almost two days left from this message, and its definitely worth submitting what you've got before the cut off. Good luck! Looking forward to seeing your entry. Good luck! Hi guys! We are getting a lot of photo slideshow entries. These aren't what we are looking for. We Definetly want something more fun and exciting for the opening of our YouTube series. Think movie trailer, or opening of a series. 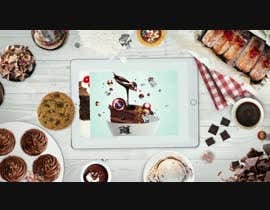 Some examples of YouTube intros we like are The Flog, Man About Cake, Nerdynummies, Good Mythical Morning and there are a few cute stop motion clips baking. Use your imagination and have fun! Good luck!